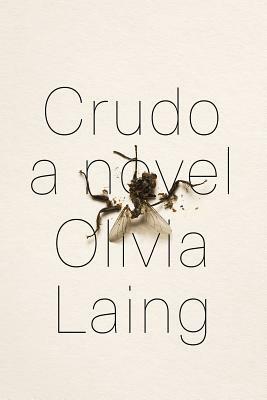 Crudo is the debut novel of Olivia Laing, a culture writer for The Guardian, and author of three previous books of nonfiction. The main character of this novel is an amalgam of the dead avant-garde writer Kathy Acker and Laing herself. At forty years old, “Kathy” is about to get married for the first time to a famous poet thirty years her senior. Unfolding all around her in real time is the political chaos and profound strangeness of the Brexit/Trump era, all mediated and experienced through the social media she engages with compulsively. This book is a stylistically bold and clever negotiation of vulnerability, independence, aging, and politics in the bizarre cultural epoch we are living in. "She had no idea what to do with love, she experienced it as invasion, as the prelude to loss and pain, she really didn't have a clue." Kathy is a writer. Kathy is getting married. It's the summer of 2017 and the whole world is falling apart. Fast-paced and frantic, Crudo unfolds in real time from the full-throttle perspective of a commitment-phobic artist who may or may not be Kathy Acker. From a Tuscan hotel for the superrich to a Brexit-paralyzed United Kingdom, Kathy spends the first summer of her forties adjusting to the idea of a lifelong commitment. But it's not only Kathy who's changing. Fascism is on the rise, truth is dead, the planet is heating up, and Trump is tweeting the world ever-closer to nuclear war. How do you make art, let alone a life, when one rogue tweet could end it all? In Crudo, her first work of fiction, Olivia Laing radically rewires the novel with a fierce, compassionate account of learning to love when the end of the world seems near.